This is a custom made social story bundle. 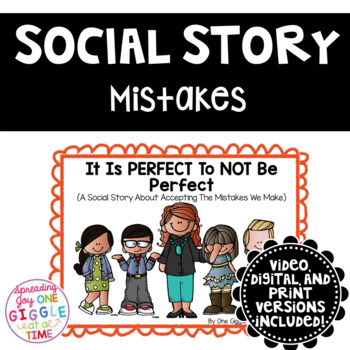 It Is PERFECT To Not Be Perfect (A Social Story About Accepting The Mistakes We Make) is a great way to help students understand and accept when they make mistakes in the classroom. 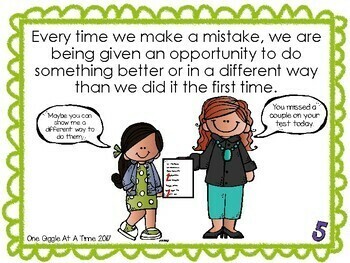 This book explains the learning opportunities making mistakes bring, and what to do when we make mistakes, in simple kid language! 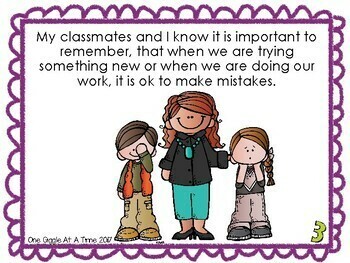 It also includes two classroom posters about accepting the mistakes that we make! 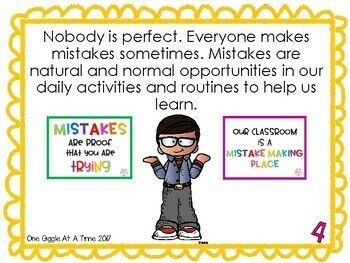 This product can be printed out or projected onto the SmartBoard, and includes multiple ideas for use in the classroom, including large group, small group, and individual instruction.